Iranian Minister of Science, Research and Technology Reza Faraji Dana said on Tuesday that each year 150,000 highly talented people emigrate from Iran, equivalent of losing $150 billion a year for the country. According to estimates of the 1990s, the training of each talented person costs the country about 1 million dollars, Faraji Dana added. 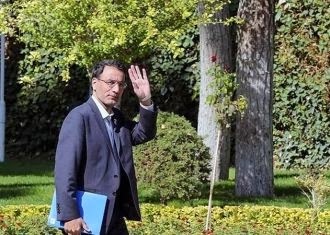 He said Iran is not opposed to the idea of students going abroad for academic studies, but it is perceptible how much Iran will suffer financially if these people do not return due to a “lack of proper conditions” at home. There must be a very good reason, i'm sure. -honor be to this Government official for this honesty disclosure.